The first steam-powered passenger train over Canadian National since, well, it’s been a very long time (GTW 5629?). Let’s also note that SP 4449 made its 2,500-mile journey without a single defect or delay. Congratulations to everyone involved, and here’s to a very successful TrainFestival 2009! 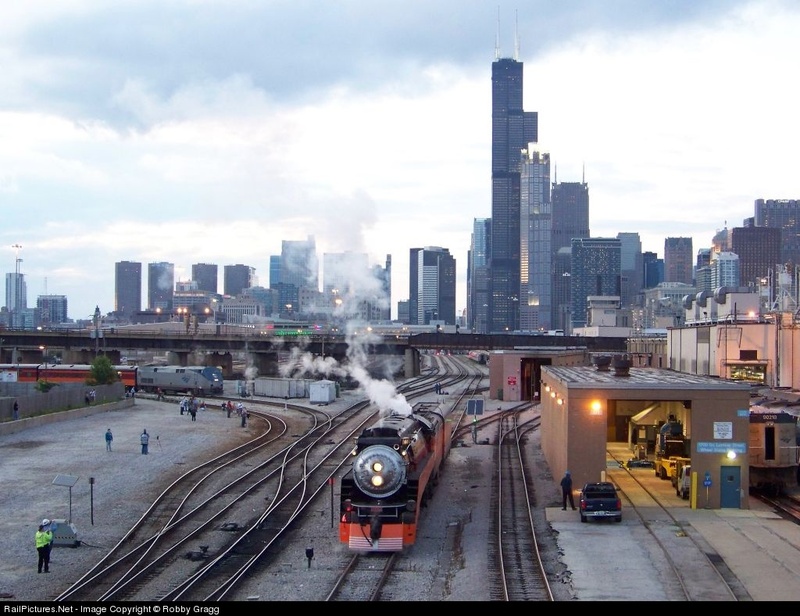 ORIGINAL POST: 34 years after beginning its “American Freedom Train” career here in 1975, SP 4449 is back in Chicago after a 2200-mile trip from Portland, Oregon. No. 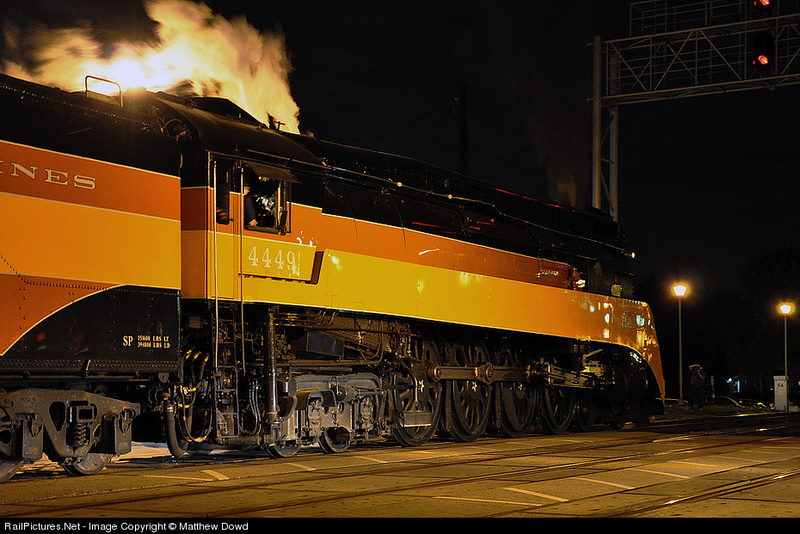 4449 made it to Michigan City last night, and is ready for the final lap to Durand, MI, and Owosso. Don’t forget, UP 844 is also on the road today, from Denver to Cheyenne. You can follow and discuss both here on SteamCentral’s FriendFeed.